E3 was just a few weeks ago at the Los Angeles Convention Center. Open to the public for the first time this year, there were reports of people standing in line for hours just to demo games like Super Mario Odyssey. At this weekend’s Anime Expo 2017 being held at the same place, attendees are waiting in line for hours just to get in. Last year, the convention hosted over 100,000 people. Featuring panel discussions, game demos, and tons of cosplay contests, the event reaches lots of different fans with interests in everything from Overwatch to Attack on Titan. And with attendance growing year-over-year, it’s likely 2017 will see an even bigger horde. Unfortunately, a lot of those people will be spending a disproportion amount of time outside the convention center if today’s line situation is anything to go by. 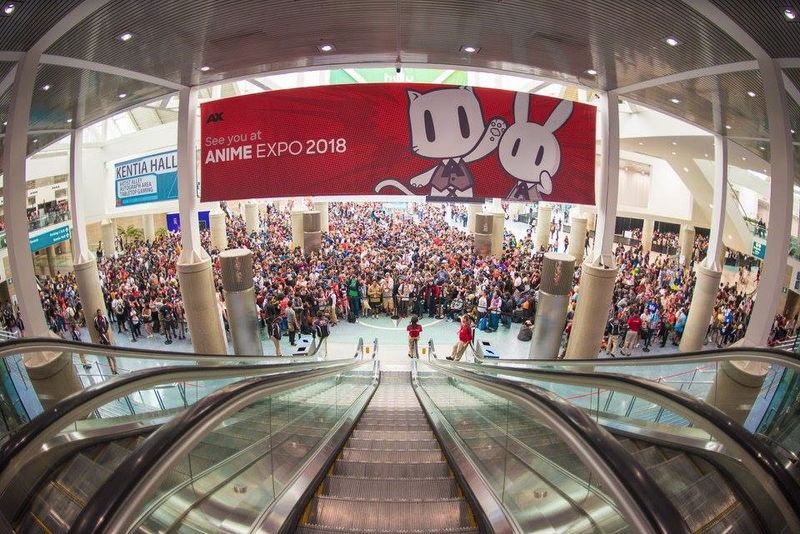 UPDATE 12:30PM July 3: SPJA (the Society for the Promotion of Japanese Animation) released a statement regarding Anime Expo 2017's opening day noting that safety and security is its “highest priority” and that given “the world we live in” things like checking bags and prop weapons requires due diligence. “For Day 2, many more bag check stations were added, fans were asked to bring fewer bags to the event, and shuttle routes were changed.” Now in its third day, there appear to be fewer complaints regarding the line situation on social media. Disgruntled fans waiting for hours in the Los Angeles sun took to Twitter to vent their frustration and try to get some answers, contacting the Expo’s social media account looking for any indication that the hellscape might be resolved. The account did respond at one point, but only to address people cutting in order to escape the fifth circle of fandom hell. Smash Bros. pro Jason “ANTi” Bates was similarly flummoxed. Unlike many others in the crowd, however, he took matters into his own hands and found a way around security and into the Expo hall in record time. And it’s easy to understand why he would try. This is a not entirely inaccurate rendering of attendance line snaking around the convention center. There are two lines. One to collect your badge and another to actually make it into the Expo, as if the organizers were trying to see just how much they could torture fans before they’d give up. OhNickel, a YouTuber popular for Overwatch commentary among other things, documented his own voyage across the River Styx. It was long, fraught with danger, and as of when this story first posted, still going on. She confirmed Kendamu’s Google Maps schematic above as well, saying the line began at the convention center and snaked out some thirteen or more blocks before coming back to the Expo. “The line’s been moving almost constantly, so in the course of about 3 hours or so, my iPhone’s logged 7000 steps,” said Downey. It’s still unclear what exactly the cause of the long lines is, though some have speculated that added security confronted with lots of bags and cosplay outfits is partly responsible for transforming the process of entering the convention center into molasses (something the Expo seemed to confirm). It’s quite possible that some people with a single-day pass, at a price of $60, will find they waited in line longer than they actually got to be at the Expo, which closes at 6:00PM. The organizers recently tweeted that additional entrances were opened to try and cope with the amount of people still stuck outside.